When you need to expand your team and you’re looking to hire your next high-level accounting, finance, human resources, or administrative professional, you want someone that’s already adding value to their current company, but for reasons known only to us, they are looking for their next challenge. Are you on the career path that you envisioned for yourself? SUPERIORHIRE is a very hands-on Staffing and Employment Agency. "Measure Twice, Cut Once" - sage advise we apply in everything we do for our clients and candidates. At SUPERIORHIRE, we take pride in our REMARKABLE CUSTOMER SERVICE! SUPERIORHIRE was born out of desire to offer a higher level of service and value in search consulting and staff augmentation within the Dallas market. The entire SUPERIORHIRE team is committed to a significantly higher level standard of excellence. SUPERIORHIRE offers a more professional consultative approach with all our clients. We are focused on providing top quality employees using old-school search techniques to locate, contact and actually speak to candidates about their career and what their next step up should be. We then present these candidates to our clients on a direct hire or contingent arrangement basis. We are not satisfied until we know all our clients’ needs have been met. At SUPERIORHIRE we take a very hands-on approach — not based on technology, but on time and experience. Our team of recruiters know and understand the professional search and contingent staffing needs across the Dallas area. They will spend time with you and your hiring managers asking questions to help them develop a profile about your company. There is no substitute for asking the right questions and listening with the right experience to find the employees for your company that fit the job and are hungry for the experience. “Measure twice; cut once.” It’s all about making sure we have the correct measurements the first time, so we can fit the pieces together with as little waste as possible. We are not just another Dallas search and recruiting agency – we are proud of our track record of connecting the right employees with the right opportunities. We’ve done it for more than 15 years in the Dallas-Ft. Worth market, and we will do it for you. We will only present candidates to our client companies who are ready for growth and have more capability within themselves than they are using in their current employment. 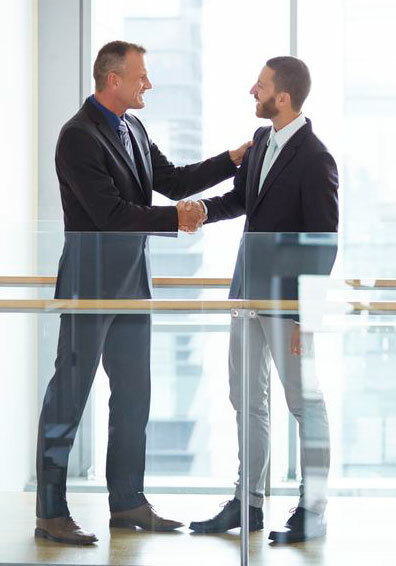 Our commitment to employers is that you will only interview candidates who are ready to add value to your organization and, if presented with a credible offer of employment, will respond positively to that offer. At SUPERIORHIRE, we continue to take pride in our remarkable customer service quality. We are constantly exceeding expectations and demonstrating service excellence. View our Best of Staffing profile to see the recognition we have received for our efforts. Does your company have the talent it needs to be successful over the next five years? Are you on the career path that you envisioned for yourself three years ago? If your answer is NO, please CLICK the button below so we can promptly get back with you.